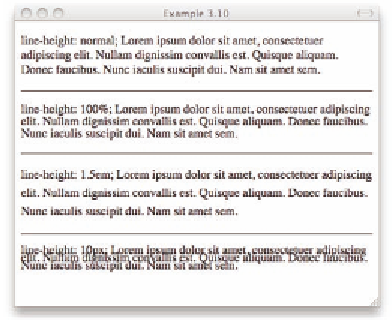 normal line height is 1.2 em, or 120 percent of the font size. letter-spacing property, 0 is equivalent to normal. ple 3.10, but, as you can see in Figure 3.11, the efect is quite diferent.